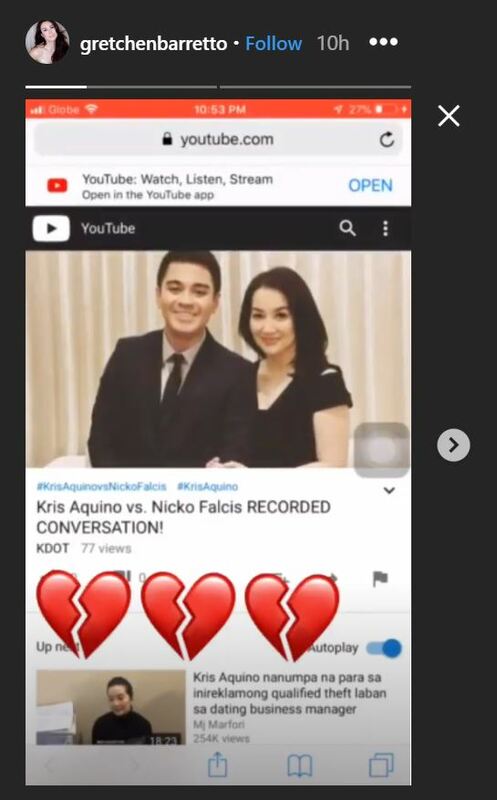 Socialite Gretchen Barretto has made it clear she supports Nicko Falcis in his ongoing legal and cyber battles against Kris Aquino. 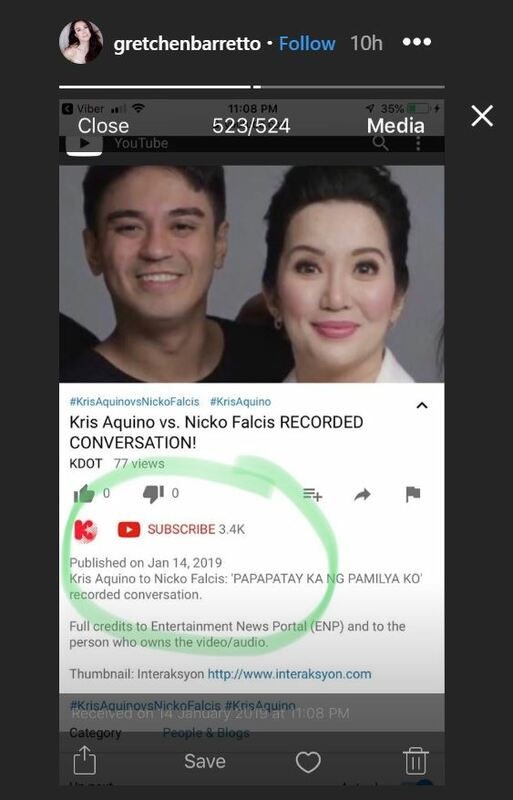 Barretto on Tuesday (January 15) posted on her Instagram stories feed screenshots of a Youtube video featuring Aquino’s alleged death threats against Falcis. 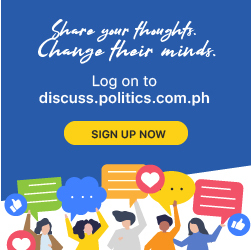 In the video, a person who sounded like Aquino could be heard telling Falcis that her family would have him killed if he returned to the Philippines. Falcis recently said he fled the country sometime last year because of the death threats Aquino purportedly made against him. Aquino had accused Falcis, her former business manager, of illegally charging P1.2 million in personal expenses to her company’s credit card. He also purportedly stole money from her sons’ trust fund. Kris confirms death threat vs. Nicko Falcis but says she ain’t serious: Binubwisit ko lang siya!